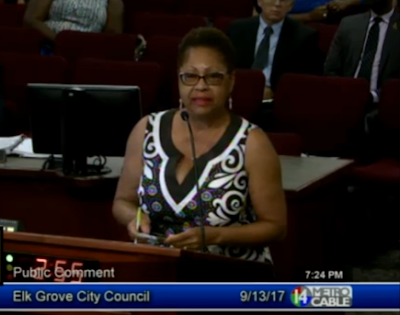 At the September 13 regular meeting of the Elk Grove City Council, several community members discussed last week's hate crime at an Old Town Elk Grove African-American owned business. The incident received extensive attention and outpouring of support for the proprietor of the establishment. Along with the support of the business owner, several community members spoke during the public comment section of the meeting addressing what they characterized as racist attitudes in the city. Below is a video of a sampling of the comments made during that meeting.